How I Can Help You Sell Your Home? "Mark has helped us purchase two new homes and sell one other home. All transactions were painless and hassle free. Mark negotiated a great price for us on the new homes and helped us sell our home in only 11 days for the full asking price. Mark made us feel like his only client and we consider Mark our realtor for life." "I Will Always Count On You For All My Property Purchasing Needs"
"I want to thank you for all of your help! You have been working with me for several years to find the homes that suit my needs and wants for my ever changing lifestyle. I appreciate the fact that you always take the time to meet within my challenging schedule. Your experienced, professional, and educated directions have continued to give me the piece of mind that I need. Thank you for evaluating my current and anticipating my future status that may be affected by committing to such a financial obligation. Providing information about property values, location, and proposed plans for the areas surrounding my homes has been incredibly helpful. I will always count on you for all of my property purchasing needs! Thanks again!" "Mark Assisted Us With 4 Different Real Estate Transactions"
"We have been entrusting Mark as our real estate agent for several years now. During that time, he has assisted us with four different real estate transactions. With his remarkable knowledge of the real estate industry and his expertise in the Arizona market, he helped us through the whole process from beginning to end without any problems. We very much enjoyed looking for properties with Mark, as it was professional and fun at the same time. By listening to Mark's open and honest advice, we were able to sell our properties in what people have considered a "down" market within an acceptable time frame and for the price we were looking for. His wonderful personality and true commitment to his clients have made each transaction both enjoyable and profitable. We have referred him to our friends and would highly recommend him to anyone who is looking for an exceptional real estate professional." "Mark Was Our Competitive Advantage in the Process"
"Mark was referred to us by a very experienced and recently retired realtor who knew the business. Right away, we realized that Mark was our competitive advantage in the process." "I'm willing to admit that we weren't the easiest clients. In fact, we were downright indecisive. But Mark single-handedly streamlined the process, while determining exactly what we wanted, before we even knew it." "Mark Helped Us Exceed Our Real Estate Goals"
"Mark, We wanted to thank you once again, and to say how much we truly appreciated the exceptional job you did marketing our property for sale. As you know, my personal expectations were lowered as the crisis deepened, and were much lower than yours, due to the epic credit crunch and resultant serious downturn in real estate values. In our opinion, your approach, professionalism, insight, guidance, and efforts, were wholly responsible for us achieving, if not exceeding our goals. Thank you once again for your efforts. We will be recommending you consistently in the future! " "Mark Found the Perfect Home for Me"
"I was introduced to Mark Marsillo in 1998 through some very good friends. I was looking to purchase my first home and needed a real estate agent. I was not only scared, but uneducated about the home buying process. My friends assured me that Mark was the perfect candidate for the job. I’m happy to say my friends were correct. Mark was extremely respectable and professional. He made my first home buying experience a piece of cake. He walked me through every little detail and made sure that I was completely comfortable and understood everything, especially when it came to signing papers. He made himself available 24 / 7 to answer questions. He never thought twice about giving up his free time to help his client. After the process was complete, Mark continuously stayed in contact with me to make sure I was happy with my new home. When I decided to sell this home in 2006, I didn’t hesitate to call Mark and ask for his assistance. Once again, he made the process very smooth and hassle free. Here it is 10 years later and I contacted Mark in March and explained that I was thinking about purchasing a home again. He was very excited to sign on as my agent and made every effort to fit me into his schedule immediately. Over the course of 4 months, Mark showed me more than 30 houses and I just couldn’t find one that I really liked. I was ready to give up and although my patience was running thin, Mark never lost his. He was very persistent in keeping me positive and educating me on the benefits of home ownership versus continuing to rent. Eventually, at the end of July, Mark found the perfect home for me. I closed on my new home August 29th and Mark was there for me every step of the way. He handled the process with the same excellent high level of service as he did 10 years earlier. 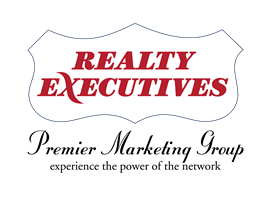 Mark Marsillo is an excellent real estate agent who cares about his clients, not only professionally, but personally. He is dedicated to making the home buying and/or selling experience as easy and stress free as possible. As long as Mark is in the business, I will continue to use his services and refer him to everyone I know." "Mark Was Committed to Us All The Way Through the Process"
"We're so lucky to have been recommended to Mark! Moving here from New York City proved to be a big culture shock when looking for a new home. Mark was so patient with us as we continued to refine what we were really looking for in our next home. Throughout the process, he explained exactly what we needed to be aware of when buying a home in Arizona that we wouldn't have known otherwise. When it came time to make an offer, Mark was diligent in making sure the process went smoothly -- we really felt like he was personally committed to us all the way through. After we closed, Mark helped provide so many referrals for different services we wanted and each one of them has turned out to be great! He also continued to follow up after the sale to make sure our punch list items were all completed. Mark truly provided us with a very positive full-circle experience from the initial meeting through the purchase process to settling in to our new home." "Will Gladly Recommend All My Friends & Clients To Mark"
"Dear Mark, Thanks alot for the great job you did! I hope to deal with you in the future, and will gladly recommend all my friends and clients to you!"